Cyber Security Malaysia reported 11,900 cyber security cases in 2015, compared to only 1,038 cases in 2007. Industry watchers believe that the reported number is only the tip of the iceberg. According to the Center for Strategic and International Studies (CSIS), the cost of reported cybercrime in Malaysia is 0.18% of GDP or approximately RM 215 million per year. Based on statistics by Pemandu, Malaysia lost RM 179.3 million to reported cybercrime in 2015. 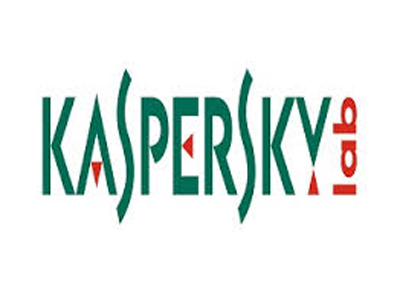 Kaspersky Lab, a global cybersecurity company, has an update on the status of Malaysia under cyberattack, and will be sharing Malaysia specific data on targeted attacks; and solutions to boost the resilience of the nation’s public and private sector to future attack. Danti, an APT actor, has been exploiting 0-day vulnerabilities and carrying out a small number of highly focused targeted attacks – mostly against government agencies in Malaysia. Kaspersky Lab has discovered over 2,100 servers in Malaysia that have been compromised and sold for use in targeted attacks through the XDedic marketplace. The disruptive scenarios featured in the hit TV series Mr. Robot could be very real, with Kaspersky Lab recording 171 million malicious attacks globally in just Q2 2016. The focus is on identifying Advanced Targeted Attacks so that organizations and governments can anticipate what is coming at them through predictive behavior, and Security Intelligence Sharing, that turns the knowledge of an impending attack into a workable defense. Governments, telcos and managed service providers are becoming more concerned about targeted attacks and advanced cyber-weapons used for the purposes of cyber-espionage or the disruption of governmental and business activity. End-users need to be concerned as well because they may feel the brunt of these attacks from disrupted services to financial discrepanies. While these threats represent less than 1% of the entire landscape, they present the highest risk to the public and private sector, worldwide. The number of such attacks have grown steadily over the years. We would like to invite a journalist and photographer/broadcast team to join the Kaspersky Lab’s Global Research & Analysis Team (GReAT) as they update on the status of cyberattacks in Malaysia, and launch a more defensible intelligence-driven solution through Kaspersky Security Intelligence Service (KSIS) and Kaspersky Anti Targeted Attack (KATA).